"Rise above your fear and witness a new day." Oil on canvas, 36" x 48"
Painting the Palouse fields of eastern Washington state and north-western Idaho has become one of my favorite landscape subjects. 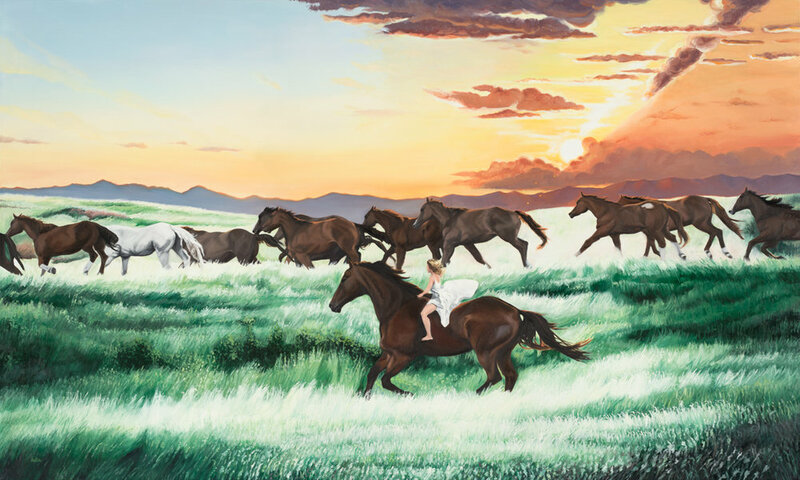 This is the largest size painting I have tackled to-date, and it became deeply personal to me by accident. 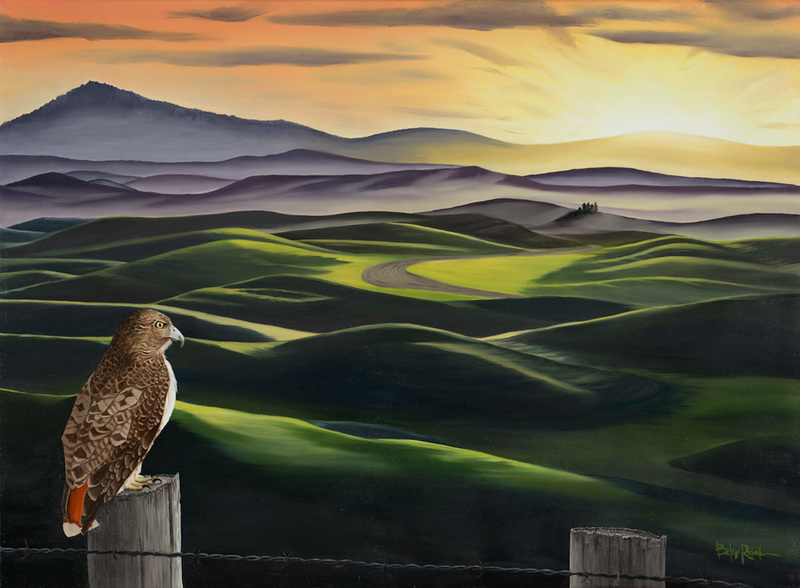 I wanted to add a wildlife subject in the foreground and decided on a red tail hawk sitting on a fence post. When I stepped back from working on the hawk, I realized I had painted an incredibly stoic, sharp-sighted animal that exists in Native American folklore as a spirit animal known for protection and clear vision. I had positioned him above a sharp barb wire fence looking into a sunrise. The painting took on its own life. It represents a new dawn--my new profession as an artist--and the hawk has overcome fear and strife to witness the new day rising, to show me my life's dream is upon me, is real, if I can only have the courage to embrace it. My mom spent eight days in intensive care in a hospital in Spokane over the holidays after suffering what thankfully ended up as only a minor stroke. On the drive up to Spokane from Boise to visit my mom in the hospital, scared about her condition and confused by the nagging question of why her, why my healthy, active, charismatic and always caring mother, I saw no less than 10 red tail hawks, all looking or flying in the direction of my home town. My mom is home and well. Contact me for purchase information. I also sell limited-edition giclee (fine art) prints of this painting.